About kissing Rupert (2007): "Kissing Rupert's going to be sooo awkward. I'm trying not to think about it ... it's all part of the job I guess. Don't tell him I said that. Rupert's lovely. Girls would probably give their left arm to be in my position, so I'm certainly not complaining." 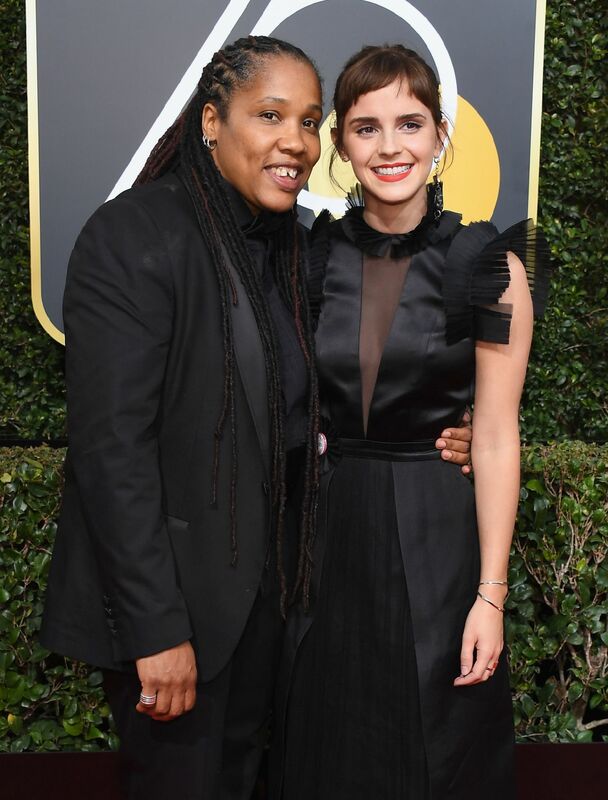 Emma Watson attended the Golden Globes on Sunday. 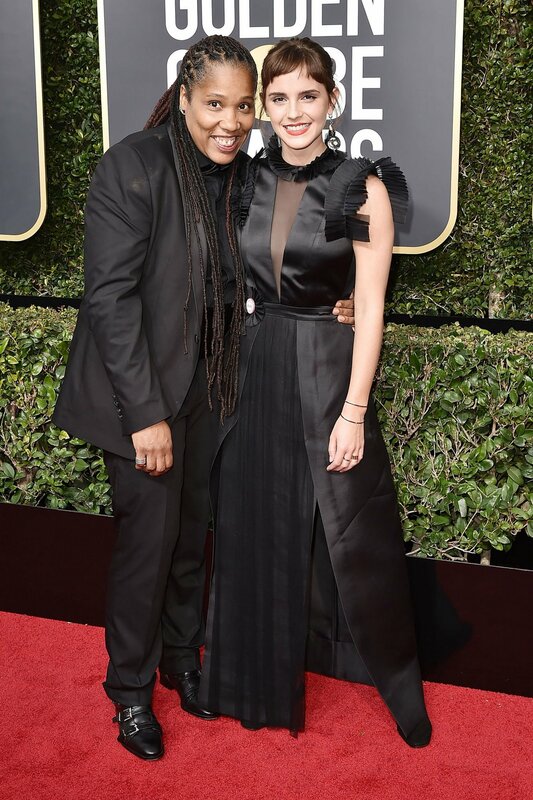 Here she is on the carpet with her “plus 1”, feminist activist Marai Larasi. posted by dook on Tuesday, January 9th, 2018, filed under Awards. Emma looks beautiful in any out fit & any style. Hi, Emma (if indeed this is ever seen by you). After leaving a comment on your official website about my admiration for what my fellow Brown alum. is doing in terms of feminism and literacy, I received a response wishing me a Happy New Year, Sweetie and asking for donations to your African charity – which I would gladly do were it not for over a year of unemployment. Anyway, the responses came from “your private personal site,” Charlotte Watson Emma, which, oddly enough, had no friends. I can’t image. why the nothing don’t answer?